Savers and investors with the North East’s largest building society have helped it smash through the million pound fundraising barrier for one of the region’s best-loved charities. Newcastle Building Society set up a unique partnership with The Sir Bobby Robson Foundation in spring 2012 by launching Foundation-branded ISA and Saver accounts, with an additional 0.1% of the balances held in all such accounts being paid by the Newcastle to the Foundation. The two accounts have both proved phenomenally popular and the thousands of NBS members who have taken them out have now enabled this seven-figure sum to be raised within just two and a half years. 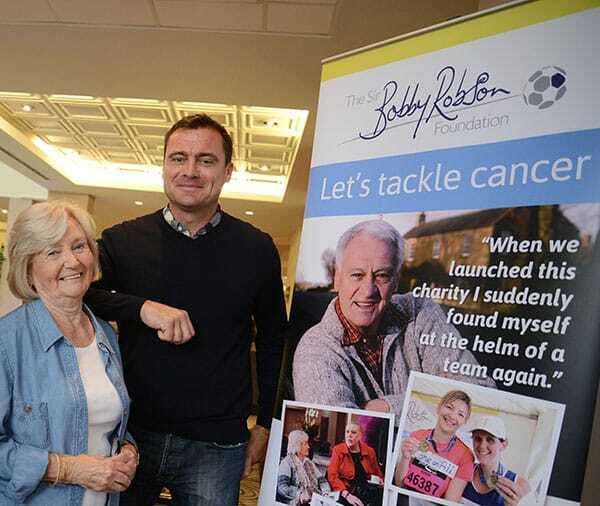 Newcastle Building Society is the largest corporate donor to the Foundation, which was set up by Sir Bobby and Lady Elsie Robson in 2008, and which has since raised more than £7.3 million to support the search for more effective ways to detect and treat cancer. 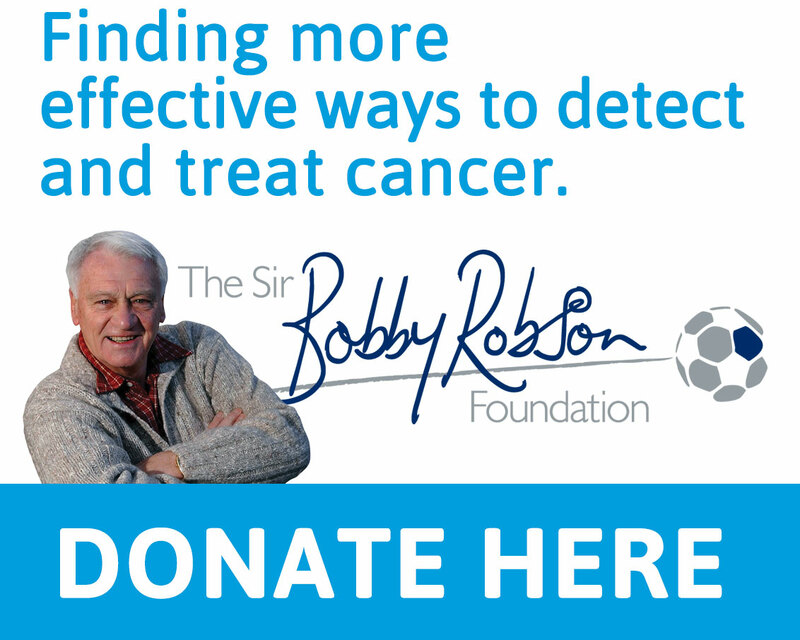 The Foundation funds projects within the Newcastle upon Tyne Hospitals NHS Foundation Trust, and as well as benefiting cancer patients across the Society’s heartland area, it also contributes significantly to the global fight against the disease. Its work includes the clinical trials of drugs at the Sir Bobby Robson Cancer Trials Research Centre at the Northern Centre for Cancer Care in Newcastle, which it has equipped and within which it has funded a specialist clinical research nurse and research doctor. The Centre opened in 2009 and around 650 new patients receive treatment there each year, while more than 1,000 patients have been enrolled in other research studies, studying the biology and genetics of cancer to help develop and improve treatments. Jim Willens, Newcastle Building Society chief executive, says: “Supporting the communities in which we operate is a key part of our mutual ethos. When we launched the two Foundation accounts, we weren’t at all certain how much we might be able to raise through them, so we’re absolutely thrilled with the impact that they’ve had in such a short space of time. 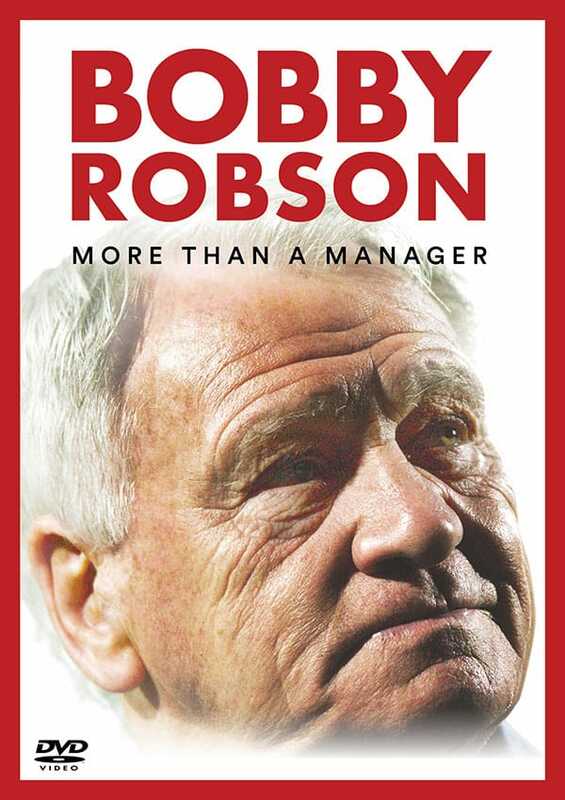 “The unparalleled affection felt for Sir Bobby and Lady Elsie within our heartland area, the excellent work done by the Foundation and the strength of the product offering we have in place, have all combined to create a wonderful source of income for the charity that’s surpassed everyone’s expectations – and what’s even more exciting is that there will be further significant funding to come. Lady Elsie Robson adds: “When the Newcastle first approached us with this offer to help we had no idea where it would take us. “To have raised more than £1 million is simply incredible. We hoped, and believed, it would work well but had no idea this partnership would become so successful. “The Newcastle is very much part of this team effort. They understand what we’re trying to achieve and its importance. I know they are very proud to be helping us find better ways to detect and treat cancer.